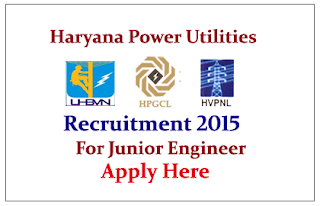 Haryana Power Utilities (HPUs) is recruiting for the post of Junior Engineer. 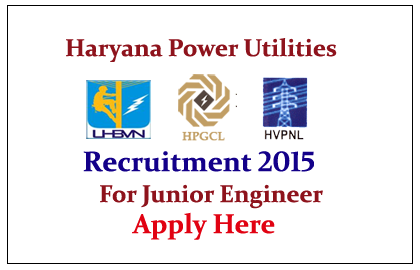 Interested and Eligible candidate can apply on or before 10th August 2015. Company Profile: HARYANA is one of the forerunners to initiate reforms in its power sector in 1997. Pursuant to these reforms the State Electricity Board was unbundled and reorganised on August 14,1998. Two wholly State-owned Utilities were established to independently perform the functions of generation, transmission and distribution of power. Subsequently, two more Utilities were created for looking after power distribution. How to Apply: Interested and eligible candidate can apply online through below Mentioned websites from 11.07.2015 to 10.08.2015. For more details kindly check official notification.